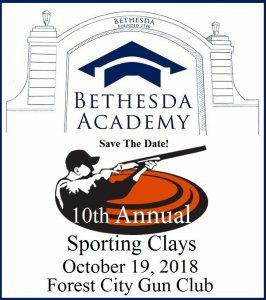 (SAVANNAH, GA) Bethesda Academy raised $93,650 at their 10th annual Sporting Clays Tournament held at the Forest City Gun Club. All sponsorship and event proceeds benefit Bethesda’s scholarship program for young men in grades six through twelve. The tournament included a wild game lunch and wild game hors d’oeuvres cocktail reception, both prepared by chef Kirk Blaine. In addition, participants attended a safety and shooting clinic. The live auction, award ceremony and wild game cocktail reception was held after the tournament. 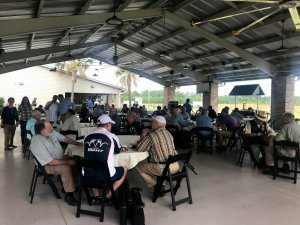 Auction and raffle items included a hunting trip with Whiddon Wingshooting in Argentina, a condo on Cudjoe Key, a Ford Plantation discovery trip, a pheasant tower shoot, a Pig Pickin’ Party for 30, an oyster roast for 20 and much more. Founded in 1740, Bethesda Academy is the oldest child-care institution in the United States. Now it is a private boarding and day school for young men in grades six through twelve and is accredited by the Southern Association of Colleges and Schools. The 650-acre campus features a variety of athletic teams, a wildlife management and organic farming program and college preparatory curriculum. 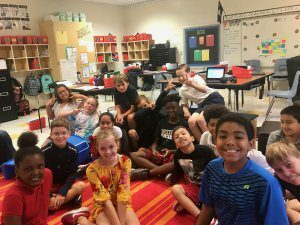 Through its “Lead The Way” initiative, students have access to exclusive integrated learning and leadership opportunities. For more information, visit www.bethesdaacademy.org or call 912.644.4376. (SAVANNAH, GA) Pharmacologist and medical researcher Marija Djekic-Ivankovic, Ph.D., will present a free lunchtime lecture THIS Tuesday, Oct. 30, during the fourth and final the 2018 Encourage Health Education Series events in Savannah. Djekic-Ivankovic will share bone health safeguards, as well as the latest research findings in the advancement of new therapies and healing with natural products to improve patient bone health. To RSVP for this or any of the upcoming lectures, visit www.healthysavannah.org. Seating is limited to 90 people. 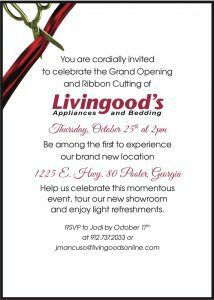 (SAVANNAH, GA) Livingood’s Appliances and Bedding hosted a grand opening and ribbon cutting ceremony at its new store, located at 1225 East U.S. Hwy 80 in Pooler, Ga. The locally owned company is celebrating 42 years this month. Complimentary gifts from the Livingood’s team were given to all visitors and guests could enter to win a $3,000 Livingood’s gift certificate. Several local dignitaries and vendor representatives attended, as well as, Mayor Lamb of Pooler. The new 12,000-square-foot showroom was built by the Dewitt Tilton Group of Savannah and is the third Savannah-area store for the family-owned appliance and mattress company. 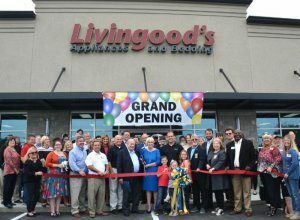 Founded in 1976, Livingood’s operates showrooms in Savannah and Okatie, S.C., offering major brands that include Sub Zero/Wolf, Thermador, Bosch, KitchenAid, Whirlpool, JennAir, Serta, Tempur-Pedic, Electrolux, Frigidaire, Maytag and General Electric. Pooler was ranked as one of the top ten fastest growing cities in Georgia in 2018. HomeSnacks, a company that gathers and combines data from the U.S. Census and other sources, reported Pooler’s population of 21,131 in 2018 has tripled since the 2000 U.S. Census. 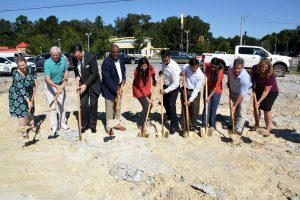 Showroom hours for the new Pooler location will be Monday through Friday from 9 a.m. to 6 p.m. and Saturday from 10 a.m. to 5 p.m.
By the year 2030, nearly 80 million people in the United States’ workforce will have reached retirement age, as compared to about 49 million this year. Statistics from the U.S. Bureau of Labor suggest that three out of every four people in the trades will have retired by then. Meanwhile, only 41 million new people will be entering the workforce. That means, as the baby boom generation ages, the workforce will shrink, creating opportunities for the next generation of workers in trades such as electricians, HVAC technicians and plumbers. A job in the trades has always been an excellent path for a young person entering the workforce because there are ample opportunities to turn an entry-level position into a rewarding and secure career. 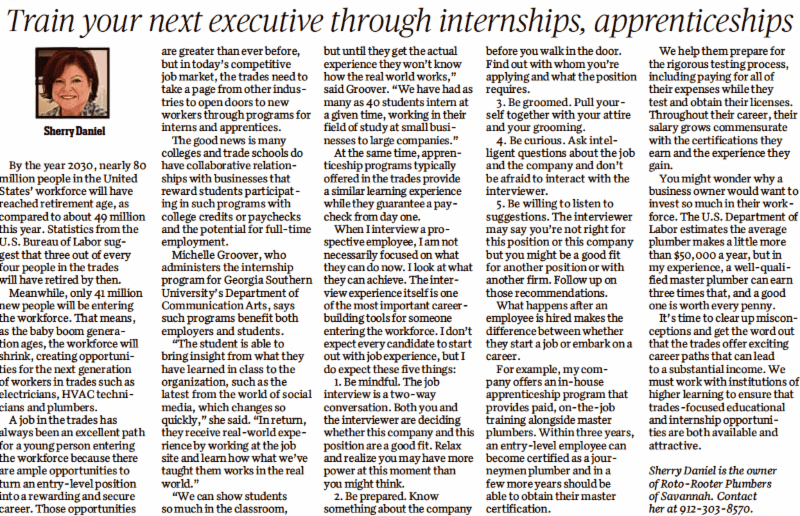 Those opportunities are greater than ever before, but in today’s competitive job market, the trades need to take a page from other industries to open doors to new workers through programs for interns and apprentices. 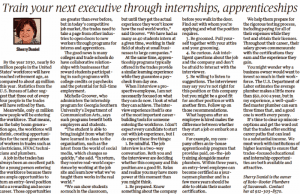 The good news is many colleges and trade schools do have collaborative relationships with businesses that reward students participating in such programs with college credits or paychecks and the potential for full-time employment. Michelle Groover, who administers the internship program for Georgia Southern University’s Department of Communication Arts, says such programs benefit both employers and students. At the same time, apprenticeship programs typically offered in the trades provide a similar learning experience while they guarantee a paycheck from day one. 1. Be mindful. The job interview is a two-way conversation. Both you and the interviewer are deciding whether this company and this position are a good fit. Relax and realize you may have more power at this moment than you might think. 2. Be prepared. Know something about the company before you walk in the door. Find out with whom you’re applying and what the position requires. 3. Be groomed. Pull yourself together with your attire and your grooming. 4. Be curious. Ask intelligent questions about the job and the company and don’t be afraid to interact with the interviewer. 5. Be willing to listen to suggestions. The interviewer may say you’re not right for this position or this company but you might be a good fit for another position or with another firm. Follow up on those recommendations. What happens after an employee is hired makes the difference between whether they start a job or embark on a career. For example, my company offers an in-house apprenticeship program that provides paid, on-the-job training alongside master plumbers. Within three years, an entry-level employee can become certified as a journeymen plumber and in a few more years should be able to obtain their master certification. We help them prepare for the rigorous testing process, including paying for all of their expenses while they test and obtain their licenses. Throughout their career, their salary grows commensurate with the certifications they earn and the experience they gain. You might wonder why a business owner would want to invest so much in their workforce. The U.S. Department of Labor estimates the average plumber makes a little more than $50,000 a year, but in my experience, a well-qualified master plumber can earn three times that, and a good one is worth every penny. It’s time to clear up misconceptions and get the word out that the trades offer exciting career paths that can lead to a substantial income. We must work with institutions of higher learning to ensure that trades-focused educational and internship opportunities are both available and attractive. 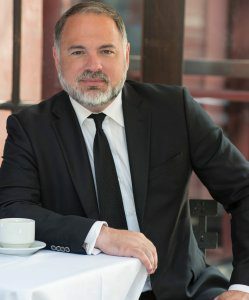 Junior partner of Savannah’s Carriage Trade Public Relations® and Cecilia Russo Marketing joins previous honorees who include a movie mogul, a self-made billionaire and Georgia’s 2018 Democratic gubernatorial nominee. 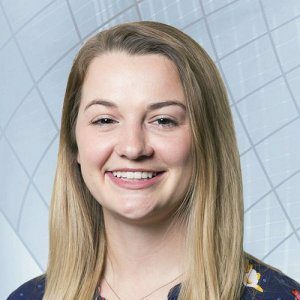 (SAVANNAH, GA) Cynthia Wright, a junior partner with Savannah-based Carriage Trade Public Relations® and Cecilia Russo Marketing, LLC, has been named to Georgia Trend magazine’s 40 Under 40 List, which identifies upward trending young professionals from across the state. Members of this year’s list were chosen by Georgia Trend’s editorial staff from more than 300 nominations made by readers throughout the state. 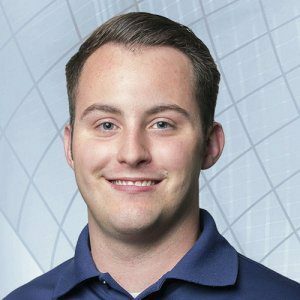 Wright oversees business development and manages the firms’ joint Visibility Team, a digital office of four full-time employees and 10 contracted team members and coordinates both firms’ reputation management strategies for clients, media relations and online SEO-PR. 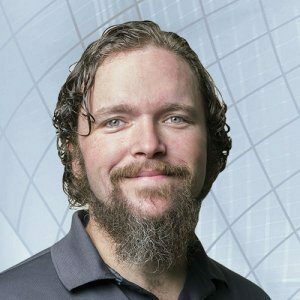 The 40 honorees named to the list must be under the age of 40, successful in their professions and “passionate about community service,” Georgia Trend explained. 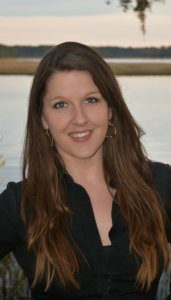 Wright serves as the immediate past president of the Savannah Jaycees, which celebrated its 75th-anniversary last year. 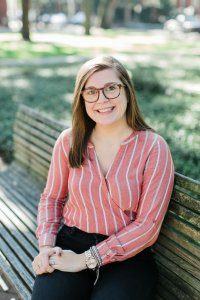 She was also the publicity chair for the 2016 Savannah United in Prayer event, formed to bring the community together to pray for safety and those in need. She also has supported the community relations efforts of the Ronald McDonald House Charities. 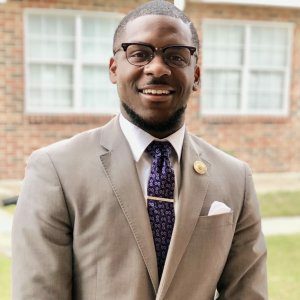 The Savannah native is a graduate of Georgia Southern University with a bachelor’s degree in communications, focusing on public relations. Wright was one of six students to receive L.E.A.P. certification, which recognizes PR professionals who have gone through Leadership, Experience in Communication, Academics and Professionalism training. 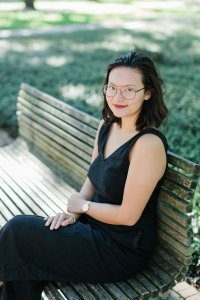 She was named a Rising Star in Business by Savannah Magazine and Savannah Morning News in 2017. Previous 40 Under 40 honorees include Stacey Abrams, the Democratic nominee for governor of Georgia; Susan Blakely, CEO of Spanx and one of the world’s youngest self-made billionaires; Ron Clark, founder of the Ron Clark Academy in Atlanta and a New York Times bestseller author; and Tyler Perry, an actor, producer, director, screenwriter and founder of Tyler Perry Studios. The magazine of Georgia business, politics and economic development since 1985 is published monthly and delivered to more than 50,000 subscribers. Nominations were open to the public, and the complete list of winners is available at georgiatrend.com. ABOUT CARRIAGE TRADE PUBLIC RELATIONS®, INC.
Carriage Trade Public Relations®, Inc. is Savannah’s premiere reputation management company. 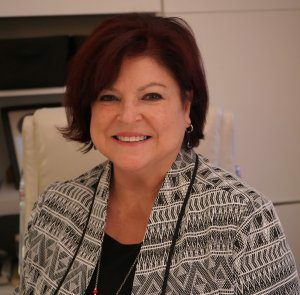 Founded in 1995 by Marjorie Young to help businesses increase their positive word of mouth in the community and globally online through its trademarked strategy, the REPUTATION MATRIX™ method. 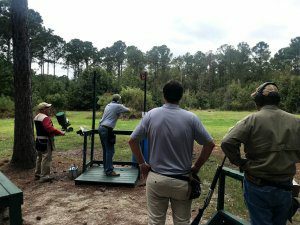 (JASPER COUNTY, S.C.) The Boys & Girls Club of Jasper County will hold its largest annual fundraising event, the Hunt, Fish & Shoot Party, on Thursday, Nov. 8, at Peacock Chrysler Jeep Dodge Ram Fiat at 265 Drivers Way in Hardeeville. Local businesses, corporations and individuals are donating prizes, and all raffle ticket purchases support the club’s programs and services. 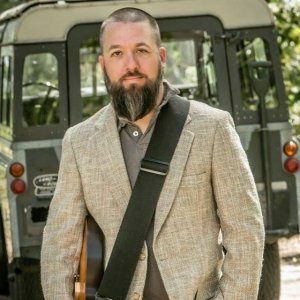 “We’re hoping our Jasper and Beaufort County communities will take advantage of the opportunity to win amazing raffle prizes generously donated by our sponsors while also supporting programs at the Boys & Girls Club of Jasper County,” said Chris Protz, executive director of the Boys & Girls Clubs of the Lowcountry. Peacock Chrysler Jeep Dodge Ram Fiat and Derry Plantation are the presenting sponsors. Hunt, Fish & Shoot will begin at 6 p.m., and tickets are free. 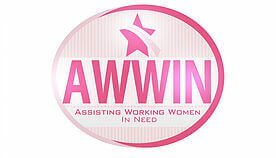 Raffle items include hunts, fishing charters, guns, kayaks, dinners, date nights for men and women and other items. The Boys & Girls Club of Jasper County has five core program areas — arts, character and leadership development, education and career development, health and life skills and sports, fitness and recreation. The programs are designed to empower youth to excel in school, become good citizens and lead healthy, productive lives. For more than 32 years, Boys & Girls Clubs of the Lowcountry have enabled young people as productive, caring, responsible citizens. Today, seven clubs serve 9,814 young people annually. Clubs are located in Bluffton, Hilton Head, Northern Beaufort County and Jasper County. They provide a safe place, caring adult mentors, fun, friendship and high-impact youth development programs on a daily basis during critical non-school hours. Priority programs emphasize academic success, good character and citizenship and healthy lifestyles. In a national Harris survey of Boys & Girls Club alumni, 54 percent said the club saved their lives. Learn more at http://www.bgclowcountry.org and https://www.facebook.com/boysandgirlsclubofthelowcountry. (SAVANNAH, GA) Felder & Associates is pleased to announce that Alma Johnson and Cathryn Sinclair have joined the Savannah architecture and design firm as project associates. They will assist in the production of construction documents, 3D models and other projects to help expedite the design process for the firm’s clients. For more information, visit www.felderassociates.net. 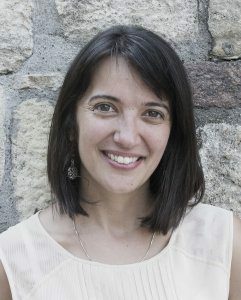 (SAVANNAH, GA) Pharmacologist and medical researcher Marija Djekic-Ivankovic, Ph.D., will present a free lunchtime lecture on Tuesday, Oct. 30, during the fourth and final the 2018 Encourage Health Education Series events in Savannah. Djekic-Ivankovic will share bone health safeguards, as well as the latest research findings in the advancement of new therapies and healing with natural products to improve patient bone health. To RSVP for this or any of the upcoming lectures, visit www.healthysavannah.org. Seating is limited to 90 people. Open for Business® is a monthly online social media article review series, where current marketing articles are discussed that will help your business become more competitive. We meet on the last Wednesday of every month at noon via Facebook Live. ABOUT CARRIAGE TRADE PUBLIC RELATIONS, INC.
Carriage Trade Public Relations, Inc. is Savannah’s premiere reputation management company. 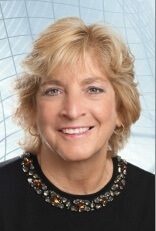 Founded in 1995 by Marjorie Young to help businesses increase their visibility in their community and globally online through its trademarked strategy, the REPUTATION MATRIX™ method. 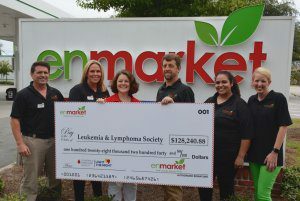 (SAVANNAH, GA) Due to the outpouring of community support, Enmarket is pleased to announce that the company has raised $128,240.88 for the Leukemia and Lymphoma Society’s (LLS) Light the Night Walk. Since the company started this annual fundraiser in 2013, Enmarket has raised a total of $481,744.75 for LLS. Every year, for one month, the company’s 122 stores in Georgia, South Carolina and North Carolina sell Light the Night paper balloon icons for $1 each in support of LLS’s mission to cure blood cancer and help patients and their families. The store that raised the most overall this year was the Port Royal location, which held an in-store fundraiser raising $1,281 in a single day. The location raised $4,609 in total. 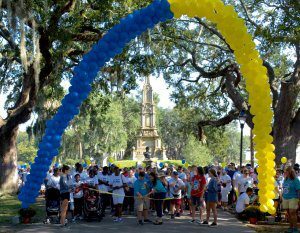 Savannah’s Light The Night Walk will take place on Friday, November 16 in Daffin Park. During the event, walkers carry an illuminated balloon along the walk route. Cancer patients and survivors will carry white balloons as “lights of hope,” supporters carry red balloons and those walking in remembrance of someone carry gold balloons. For more information, visit www.lightthenight.org/ga or call 912-436-3280. (SAVANNAH, GA) Mark your calendars for a terrific series of relevant, often requested workshops on topics of high interest to entrepreneurs. 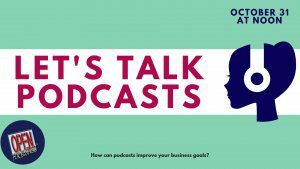 The monthly series commences on 18 October and runs through 21 march 2019. The registration fee for each session is $15. Details of each session will be made available as the sessions approach. Consult the SCORE web page at www.savannah.score.org for the date, time and content for each session. (SAVANNAH, GA) ‘The Joy of Life Family Fun Walk’ October 20th , 2018 will take place at Lake Mayer. This is a fund raiser for the Savannah Care Center, a local non-profit pregnancy resource center serving the Savannah Community for 32 years. For sponsorship opportunities and more information, call (912) 236-0916.